did anyone on here from Ct get the 520-8 today ? It is pretty much done. Need to do some more touch up and cleaning and paint the rims. Going to get footboard pads from Eldon at the show and a shifter cover. Overall nice clean worker. Gett'n closer. It's not going to be completely finished but I'm going to bring it. I have never had any problem. I have shipped with them three times. Once I initiated the paperwork, the other two times it was started by the receiving party. I used the link that Craig posted above, and within hours I had a quote or an inquiry to clarify details. The only time that I had an issue was when I wanted to send something to Denver, Co. They are too busy at the Colorado locations to take 3PL shipments. Must be all that marijuana. Just wanted to show off my new Toy. I think it's my fathers day gift. It was at a auction today. Wasn't going to go because I didn't think I could afford it but my dear sweet wife said you never know & told me to go anyway. It's a 855 with a Freeman Pony Loader. 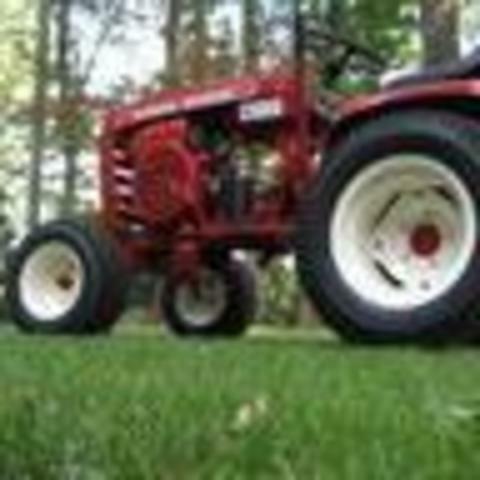 You need to read "Old Tractors and the Men Who Love Them" by Roger Welsch LINK Actually, now that I think of it, we all do. Aldon I myself think you got a deal on that tractor. I also feel I got a deal from Ken on my C175. But somehow I know this guy made money!!! I just haven't figured out how! Well it's been awhile since I dust these beauties off. Between remodeling my house,landscaping,Working 2 jobs and chasing my 1 year and 3 year old around today I had some time to get some of my wheel horses out. The 3 cream puffs have less then 300 hours on them each and time to work them a little. Anyways wash and clean. 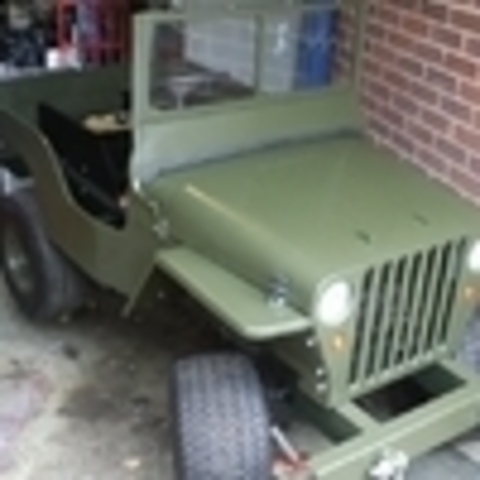 Original Restore of my 1973 model # 1-0365 Wheel Horse 10HP 8-Speed Lawn & Garden Tractor, original Kohler K241S engine, spec 46636D was rebuilt, upgraded the original side-discharge deck for a 1976 model 65-42MR01 42" Rear-Discharge Mower Deck, upgraded the plain front plastic placard with a model 8-0814 "Light Panel Assembly" (Head & Tail Lights) dealer kit, upgraded the original "low-boy" seat to the more comfortable 1974 stock "C-Series" seat, and a completely re-manufactured wiring harness. What'd ya get for Father's day? I got the news that my blood counts have stabilized and I wouldn't need another transfusion today. After seven units of blood and three units of platelets since Thursday this was very good news for me. I needed a new push mower since my old one completely rusted out around the rear wheels. I had looked into a string trimmer mower, and while very handy for trimming, not much for what I needed (thank you all for the feedback on that). Well, today I found a big box by the garage. 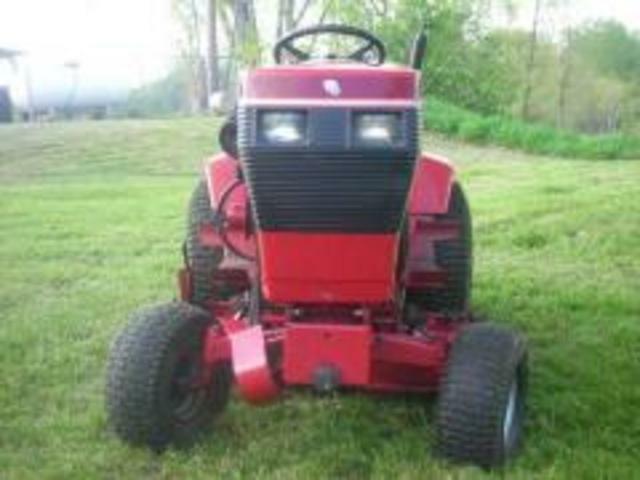 It's a new Toro and self propelled! I am used to the very cheap mowers which take some effort, but this one is like driving a Lincoln after getting out of a Yugo! Grass is too wet to mow, but I was able to use it around the steep hills by the pool and it worked great! So happy having the self propelled. NO Problem! Take it for a ride with your son too! Actually, ANYONE who asks is more than welcome to take her for a spin. Very simple centrifugal clutch drive so just put it in gear, hit the gas and go. This one doesn't pull wheelies like the last one, bunch of added weight up front this time. Don't worry about anything breaking either, it's still under warranty! I dont have a part # or measurements handy Buzz, but it is a commonly available bushing. McMaster Carr should have one, and I am fairly sure I have bought one from Tractor Supply as well. Did you spell WIFE wrong? I forgot you weren't able to make it this year. Bummer! Too Late Richie, got'em on tonight! I don't like these new fenders compared to the older type I used for the last one but oh well Got some more done. Sparky will like those cushions! Uh Oh, I had my canopy rip to shreds down there a few years ago from the wind during some of those isolated T-storms. Kind of funny now but it wasn't at the time it was happening! Just hoping for the best at this point since I'm going no matter what the weather is going to be. Me and Saltywright were just kicking back talking at the last Zagray show when a small gust came up quick out of nowhere and shot my canopy straight up 90* against my van. That one was kind of funny when it happened because we were so surprised! I have used Fastenal 3 times and have had pretty good luck. Once they shipped something to my buyer that I didn't send and there was confusion there, but they did get the correct item to my buyer...Always wondered who was missing another red part though! I used the 3rd party web address that Craig posted and get a response within 24 hours. Had lots of quotes but not all sales were made. @zieg72 I find that most of the clerks in the store don't even know what 3PL shipping is. All the managers should. @squonk If you have trouble with the help in the store, call Fastenal's toll-free number. There is a store liaison who will address the problem. I had a clerk laugh at me when I asked for 1/4-20 x 1" dog-point set screws. Then she said "oh no, we don't have whatever that is". I looked around, and when I came back to the counter with what I was looking for, she was a bit embarrassed. She no longer is employed there. super loader/tractor take another one off of your "want list"
Hi Karl, Welcome to Red Square. I'm assuming that you have a Kohler Command version. There are a few of us that are pretty familiar with the 5xi series. I'm sure that a few others will chip in. I own three. I'm hoping that all you have is grass clippings packed up inside the engine shroud. The Kohler Command has a design problem with this occurring. In the engine manual it calls for the heads to be cleaned every 200 hours. The design has metal baffles around the cylinder head underneath the shroud. The only way to remove the shroud to remove the baffles is to pull the engine from the chassis. It's not difficult but getting at the four bolts isn't easy. The engine needs to be raised vertically to clear the engine drain assembly. the tractor is really designed well for dis-assembly but unfortunately creates a process to do it. Make sure that you mark the driveshaft for reinstalling the coupling. The other cause could be rocker arm damage from overheating but check the clippings first To make it easier for cleaning next time, Kohler does sell an access kit to be installed so that you can get at this area again in situ. The firewall clearance is the problem but Toro at least left some clearance once the access kit is installed. For example, the Simplicity Legacy uses a similar version of this engine and their firewall is right up against the shroud meaning the engine must be pulled each time. I wanna know whats behind door # 1 in Frank's Barn!! Squonk's Hockey Night in Buffalo Thread! Very nice collection Tankman. I'm a fan of the Allis. The 16hp Briggs should make plenty of power for grading. Nice score, and good upgrades already. Thank you for the cap nut solution - I've used 3/8" for my hood and 1/2" for the seat hinge so far with great results! The "Straight From The Horses Mouth" book collection is sold. That is a really neat looking little loader! Thanks for the pics! 854, sputtering, missing, loosing power???? Still haven't put the tins on yet. Have to wet sand them and see how they come. In the mean while I was able to pick up an original JD three point hitch for it. Took awhile to find one as they sell for huge money. I was able to pick this one up for a great price and it's in great shape. I'm going to add the rear hydraulic connection setup for future rear attachments. Nice... now we need a video of that FEL in action. A man went to the police department to report that his wife was missing: Husband: – My wife is missing. She went shopping yesterday and has not come home. Sergeant: – What is her height? Husband: – Gee, I’m not sure. A little over five feet tall. Sergeant: – Weight? Husband: – Don’t know. Not slim, not really fat. Sergeant: – Color of eyes? Husband: – Never noticed Sergeant: – Color of hair? Husband: – Changes a couple times a year…….maybe dark brown. Sergeant: – What was she wearing? Husband: - Could have been a skirt or shorts. I don’t remember exactly. Sergeant: - What kind of car did she go in? Husband: - She went in my truck. Sergeant: - What kind of truck was it? Husband: - A 2015 Ford F150 King Ranch 4X4 with Eco-boost 5.0L V8 engine special ordered with manual transmission. It has a custom matching white cover for the bed. Custom leather seats, DVD with Navigation, 40 channel CB radio, 6 cup holders,4 power outlets, custom floor mats, trailer package with gold hitch. Put on special alloy wheels and off road Michelin’s. My wife put a small scratch on the driver’s door. The husband started tearing up. Sergeant: - Don't worry Sir…………..We'll find your truck. .
My Horse Barn is located (in Henry County) right where the Ozarks meet the Plains....does that make me "bi-local"? BTW..I maintain a listing of WH guys in MO and KS.....and since 1972 have acquired a "secret knowledge" of several WH's hidden in the Ozark barns!!! I thought you might like a bit more background info on Multipower in Effingham. When my father worked there as a salesman way back in the 1960's they were: Mid Surrey Garden Centre. It was horses from there that I used to drive at the Surrey show. I drove past the premises around 8 years ago and they were still in business as multipower machinery, but a quick look on street view shows that they are now MPS garden machinery. I just now read that to my wife. She asked me if there was a certain emoticon I could post for her. Well, actually she showed me. I told her no because this is a family oriented forum. Glen, I'll introduce her to you at the show. That is a very nice looking freebie! Prior to the wide spread use of chemical weed control cultivating was a big part of farming. Tractors were specially designed with high clearance to avoid damaging the crops while getting rid of weeds. Cultivating is actually making a comeback amongst the organic grower crowds and some of the 50-60 year old tractors and their cultivators are getting back into use. If you believe the weather man two weeks out, I have a bridge to sell you. Help! Need help with engine problem. I love it when a plan comes together. The knowledge on this forum is amazing. The best part is that even though folks are all over the country, it is like having a nice neighbor that can help.